Don’t be fooled. 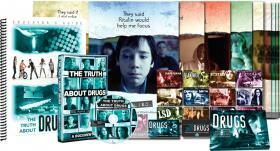 You need facts to avoid becoming hooked on drugs and to help your friends stay off them and be drug-free. You have a right to know the FACTS about drugs—not opinions, hype or scare tactics. So how do you tell fact from fiction? That is why we have created this website—for you, your friends and your groups. The Foundation for a Drug-Free World is a nonprofit public benefit corporation which empowers young people and adults with factual information about drugs so they can make informed decisions and live drug-free. No one, especially a young person, likes to be lectured about what he or she can or cannot do. Thus, we provide the facts that empower youth to choose not to take drugs in the first place. 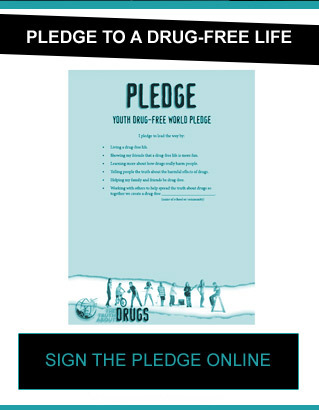 Additionally, the Truth About Drugs campaign consists of activities that they can join which popularise drug-free living. These activities are simple, effective and can involve people of all ages. 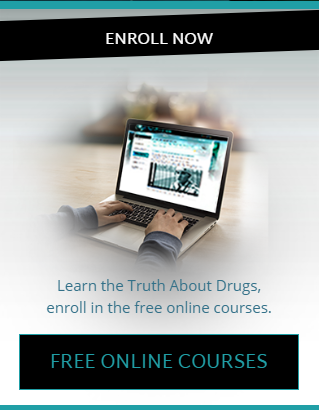 Through a worldwide network of volunteers, over 50 million drug prevention booklets have been distributed, tens of thousands of drug awareness events have been held in some 180 countries and Truth About Drugs public service announcements have been aired on more than 500 television stations. These materials and activities have helped people around the world learn about the destructive side effects of drugs and thereby make the decision for themselves to not use them.